There's something about a cool crisp fall weather that I love. 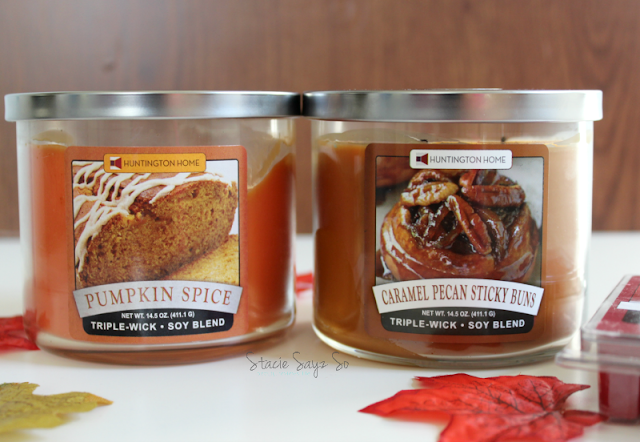 I enjoy lighting my fall candles, snuggle up with a warm blanket all while watching my favorite fall TV shows. 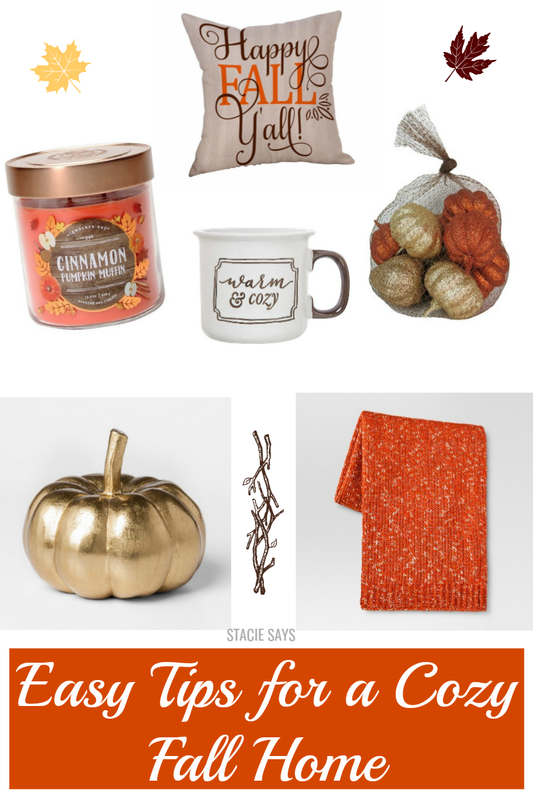 If you're still trying to hold onto summer and need easy fall decorating tips, I'd be glad to share a few of my super simple ideas. 1. Use plenty of fall scented candles. My favorite to use is a Pumpkin spice type of candle. 2. Switch out your summer pillows for something more seasonal. 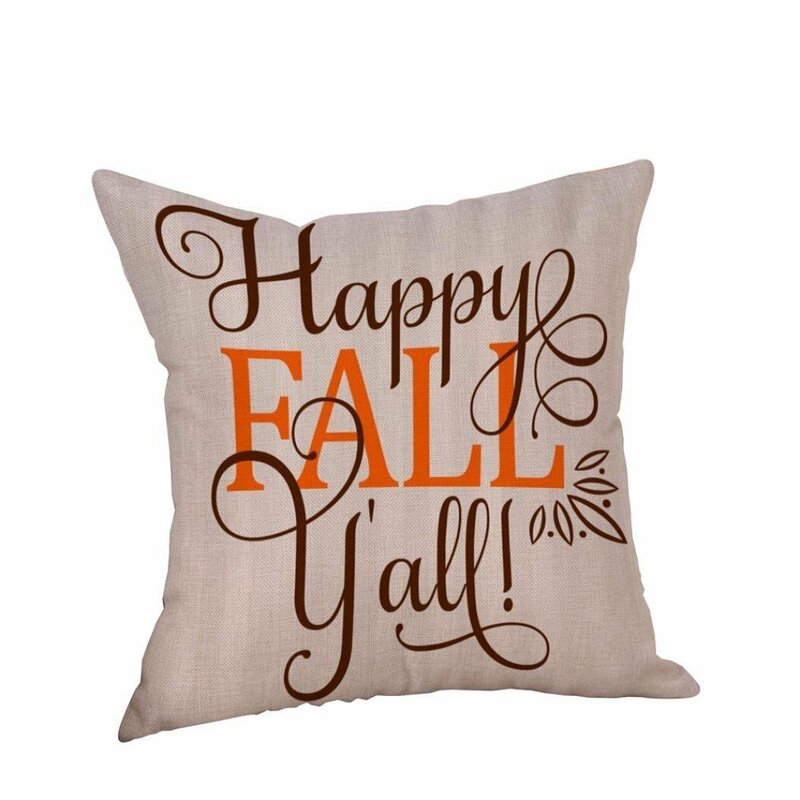 Pillows with leaves on them or autumn colors in orange and brown tones work really well. 3. Time to bust out that warm, comforters for your bedroom. Add throws to your living room couch to invite the snuggles. 4. Visit your local dollar store or Target's dollar section for cheap fall decorations. Grab a basket and fill it with small pumpkins or gourds. You can find them for a buck at your grocery store too. 5. Make an Autumn wreath for your door. Pinterest is full of easy fall wreath tutorials. I love cleaning my home with a fall scent like cinnamon or apple. 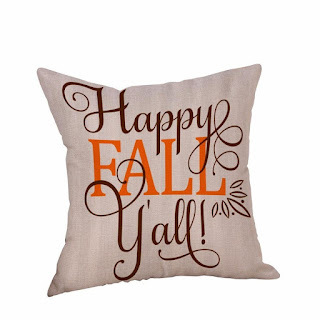 It smells clean and fresh and keeps the fall theme in your home. Any fall household cleaners will work. 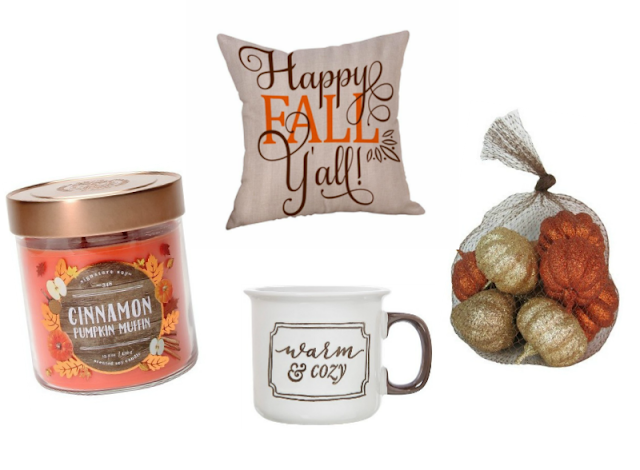 How do you get your home cozy for fall? Since fall is my favorite time of year I start before it cools down. Mostly because like days this week we are popping back up to 100 degrees! What?! Seriously. Any how, I make wreaths, add candles, and fun fall décor. I bet that cinnamon pumpkin candle smells divine. Need to grab one. Happy Fall. Wow, I can't imagine it being that hot in the fall! Anywho, enjoy your fall too.